Art Ayris confidently strolled into the local post office ready to pull out a fat check from the PO box. It was February 2015 and there was no warning signs for what he was about to read. “I was floored,” recalled Ayris in a calm, Southern accent, befitting his role as executive pastor at the First Baptist Church Leesburg in Florida, but a bit incongruous with his other career as a comic book writer and employer of artists from Marvel and DC Comics. That unexpected letter, it turns out, was from Family Christian Stores – at the time the world’s largest Christian-focused retailer – informing Ayris that they were keeping payments owed to his company, Kingstone, as well as its inventory; and they were declaring bankruptcy. 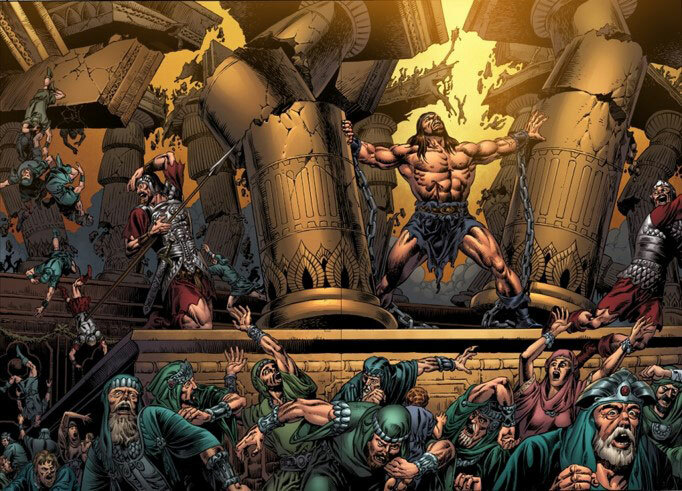 Trials and tribulations seem to be the theme of Art Ayris’ life ever since he founded Kingstone – a multi-media company specializing in comics and graphic novels that visually bring to life biblical stories. 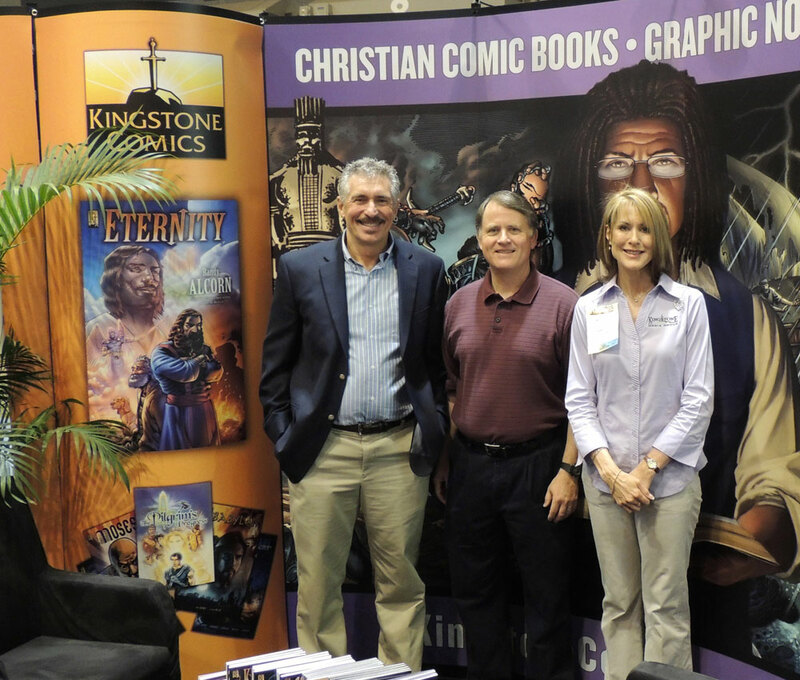 The company’s flagship product, the Kingstone Bible – a 2,000+ page graphic novel of all 66 books of the Bible – was an especially ambitious and arduous project that was released in October 2016 after seven long years, 45 artists, several distributor bankruptcies, and multiple health scares for Ayris, including heart surgery and cancer. At least four times the company ran out of money and at one point an executive staff insisted that Kingstone be sold. 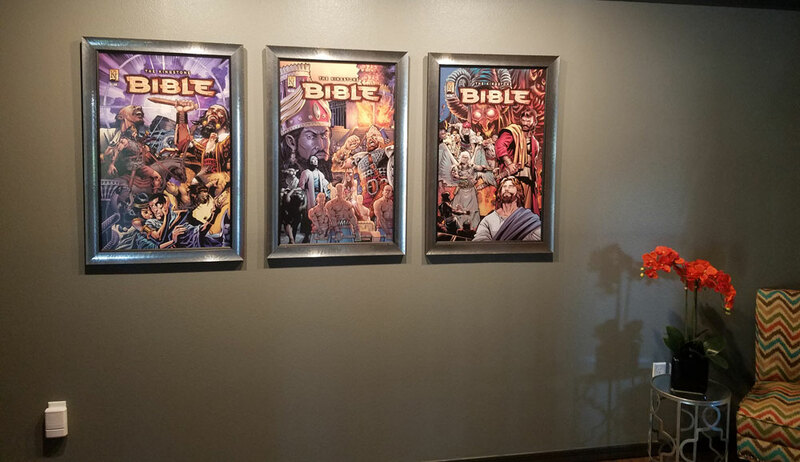 “It took a long time and we just repeatedly ran out of money, and even Christians were questioning why we were putting the Bible in a comic book form,” the Kingstone founder divulged. Long before Ayris became an award-winning screenwriter and comic book writer, he ministered to youths. He was disturbed. He couldn’t let it go that statistics after statistics were reporting on declining Bible engagement among teens and young adults. A 2015 Barna study commissioned by the American Bible Society only further confirmed the negative trend by revealing that 32 percent of Millennials have never read the Bible, and worse, 48 percent of teens have never read the Bible in a given year. 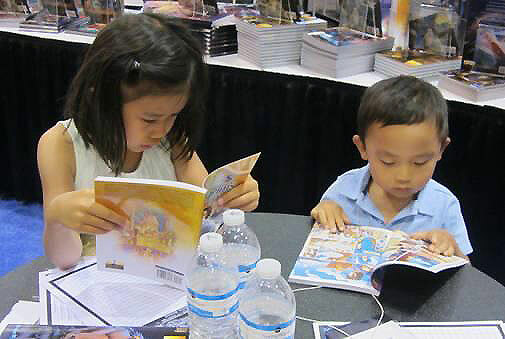 Yet amid decline in Bible reading among the youth, the comic book industry rose 42 percent in the past five years. “A lot of people” include young boys, prisoners and Muslims. When Kingstone first launched its app, Ayris was “blown away” when some of the first downloads of the comic Bible came from Saudi Arabia. Adapting the Bible into a graphic novel opened Kingstone up to all sorts of questions about how theologically sound the books are. In pursuit of artistic quality, Kingstone only hired artists with a Marvel and DC comics professional background, even if they were not Christians. Yet despite these concerns, the Kingstone Bible has been endorsed by the former president of the Evangelical Theological Society, Dr. Gerry Breshears. It is also sold by Southern Baptist-operated LifeWay Christian Resources and Focus on the Family. So how did Kingstone ensure biblical soundness while giving non-Christian artists creative liberties? Simple. Artists are just not allowed to change the Scripture, Ayris explained. At the bottom of each page of the Kingstone Bible, there is a note explaining what the panels cover in the Scripture and direct readers to explore the Bible for more details on the sequence. The artists, however, are given creative liberties artistically if not accurate renderings can be found. “It took us years to get beyond that and say, ‘Hey, this is solid Christian literature that you can trust,” Ayris noted. The endless waves of troubles did finally subside. Ayris found it hard to pick which of the problems was much difficult, saying “each challenge had its own personality.” But the one unexpected challenge that stood out was the Kingstone Bible didn’t initially get the acceptance by the Christian market that he expected. “It’s changed now, we got really good acceptance,” the publisher assured. Now organizations are lining up to partner with Kingstone and the Marvel-like adaptation of the Bible is proving to be a strong missional tool. Mission organizations and Bible societies have translated the Kingstone Bible into local languages that is set to hit 100 translations by the end of this year – a feat that would place it in the Top 20 most translated books of all time (Harry Potter series is in 67 languages and the Koran is in 112 languages). The Kingstone Bible can be found in Arabic, Turkish, Farsi, Russian, Indonesian, Nepali, Hindi, Bengali, Khmer (Cambodia), and more. Partners using the Kingstone Bible overseas include the International Mission Board, Voice of the Martyrs, Operational Mobilization, YWAM, among others. Not only is the Kingstone Bible a great international mission tool, but here at home in America it’s popular in prisons and among people with reading issues. "Since I used to teach special needs students this one is very close to my heart," said Ayris. 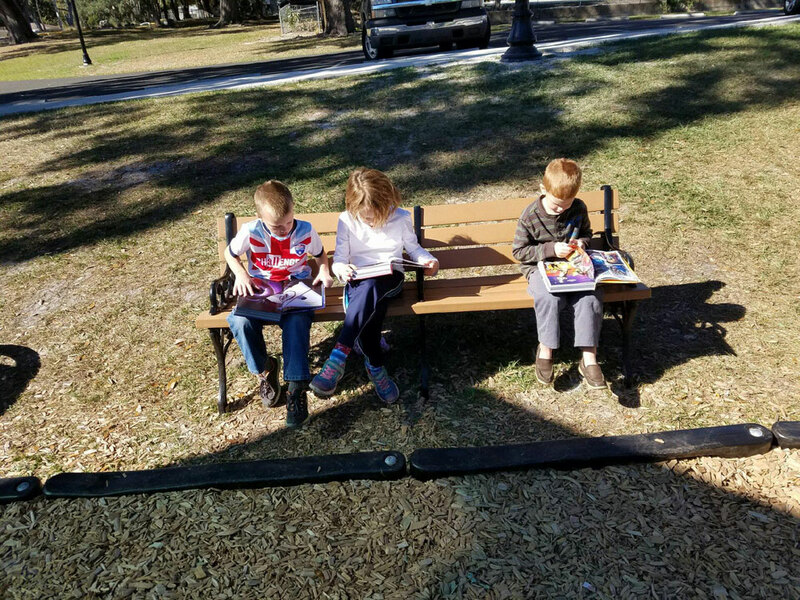 "Comics and graphic novels encourage and motivate struggling and special needs readers." He shared that letters are pouring in with requests from prisons and prisoners for the Kingstone comic books because its format is appealing to inmates.